MADRID (AFP) – Barcelona have reached a deal to sign Spanish international striker David Villa for four years from cash-strapped Valencia for 40 million euros (49.4 million dollars), the two clubs said Wednesday. The 28-year-old, Valencia's top scorer in La Liga with 21 goals in the campaign just ended, will be officially unveiled on Friday at the Camp Nou after undergoing a medical, Barcelona said in a statement. 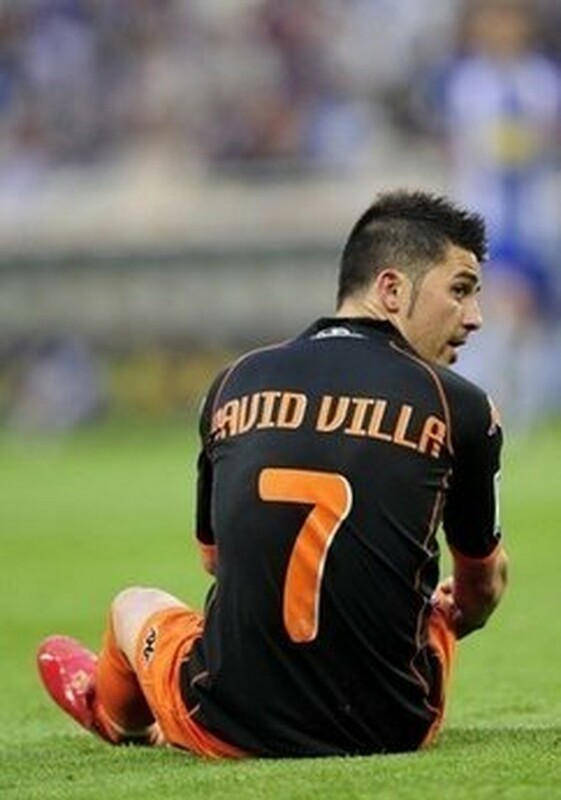 Villa was the fourth best scorer in the Spanish league in the 2009-10 season behind Barcelona's Lionel Messi and Real Madrid's Gonzalo Higuain and Cristiano Ronaldo. Under the deal Barcelona, who won their second consecutive league title on Sunday, will have the option of keeping Villa for a fifth season. "We think it is a good sale and necessary given the economic situation of the club," Valencia president Manuel Llorente told a news conference at Valencia's Mestalla stadium. "As everyone knows we could have done this deal last year but we thought at that moment it was best to keep our squad together to try and get into the Champions League. We have achieved that aim and finished third in the league." Valencia are saddled with debts of over 500 million euros. The club put off plans to build a new stadium after failing to find a buyer for their existing stadium due to the collapse of Spain's once booming property sector. Villa had been coveted last year by both Barcelona and arch-rivals Real Madrid but the Catalan club finally secured the services of Swedish striker Zlatan Ibrahimovic from Inter Milan in a deal which saw Cameroon striker Samuel Eto'o move to the Italian side. The striker joined Valencia from Zaragoza for 12 million euros in 2005. During his five seasons at Valencia he scored a total of 107 goals in 166 league matches. Villa was the top scorer at Euro 2008 with four goals despite missing Spain's 1-0 victor over Germany in the final due to injury. He is a regular in Spain's national team, having scored 36 times in 55 appearances, and is expected to make a big impact at the World Cup in South Africa next month.